(This is the second in a series of three articles regarding how the technology industry is being disrupted and who will be the winners and losers and how the winners are winning). Predicting the future hasn’t always been easy, but in this new world of all things and people connected, and the collection and analysis of data pervasive as we journey through our lives – it’s more possible than ever to believe that the “science fiction” of yesterday has become the reality of today. Last month in Los Angeles, over 600 of our customers and partners, media and industry analysts gathered together to collaborate in “3-D”, and I shared some examples, beyond Hal and Siri, of how we are literally living in the future – today, and how we are digitally communicating in increasingly intuitive and contextually guided ways. This is the real-time communications (RTC) vision we’ve had and invested in over the last few years, and it’s thrilling to see it coming to fruition in the real world. Here are ten examples of the future having arrived, and how voice, messaging, video, and collaboration are embedded into every single one. Self-driving cars are no longer a futuristic idea. Mercedes Benz, BMW, and Tesla have already released self-driving features that give the car some ability to drive itself. Volvo just last month announced they are going “all electric” in the next few years and many analysts believe this is driven by their parallel plan to develop autonomous cars. And Google began testing its prototype last summer in California. Beyond the inevitability of autonomous vehicles, we may never need to own cars again – we can borrow them like we borrow Citibikes and return them. UBER’s business model will completely change, as will their economics – and given that UBER’s market valuation is as big as General Motors, traditional car companies are paying attention. 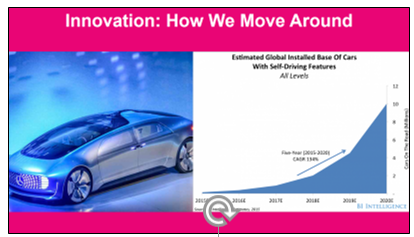 A few of the “drivers” behind self-driving cars is that they will help to make roads safer and people's lives easier. In the UK, KPMG estimates that self-driving cars will lead to 2,500 fewer deaths between 2014 and 2030. Where RTC comes in: Galaxies beyond OnStar, these cars will be equipped with every possible, imaginable communications service – as the car moves safely towards its destination, passengers will be able to attend meetings via video collaboration built into the car’s form factor, will have excellent quality Internet access powering their own devices, will be able to update friends on precise arrival times, and so much more. The benefit to the rider? Easier life, more work productivity, more time with friends, family and enjoying a quality of life not possible in the previous world of rough commutes. When you’re not in a self-driving vehicle, Google maps is good at telling you how to go and the options you have to get there – from your own car, on foot, via public transportation and, perhaps someday, using your personal helicopter. But Waze, one of my personal favorite mobile apps, is great at getting you there faster and safer, without getting pulled over. How Waze provides brilliant suggestions is important to note: it is through crowdsourcing (other drivers and passengers reporting everything from traffic jams to potholes) and gamification (rewards given to members of the Waze community for actively providing information; for example, a coupon for a free cup of Starbucks coffee for posting their 10th alert). Look for gamification to become embedded more and more, taking the “Exchange of Everything” to new heights. 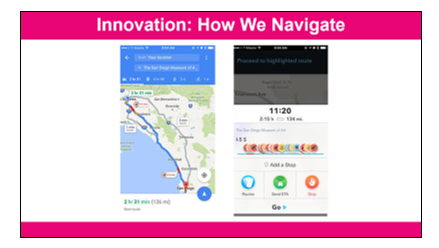 Where RTC comes in: Wazers are now messaging each other on the Waze app – finding each other geographically – texting and calling each other, in the future, by simply tapping the icon showing a friend in close proximity. You can only imagine the RTC mash-ups possible here! Who needs to go out anymore to meet people? You can meet millions of people online and be matched more successfully than without the platforms. The evidence? The average divorce rate in the US is an astounding 50 percent for couples who meet the old-fashioned way. For people who meet online, at least on eHarmony, the divorce rate is below 5 percent according to the company. Their analysts forecast that half of relationships will start online by 2031. 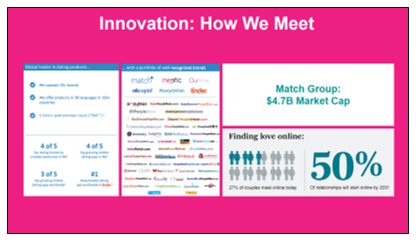 Where RTC comes in: Dating sites have moved well beyond the databases, profiles, and photos, well beyond emails and text messages to video meetings before actual meetings. In the business world, sites like LinkedIn perform a similar function, and include increasingly popular messaging platforms building on successes like Facebook’s messenger. Supporting voice and video on these platforms, on mobile devices and desktops, is not easy and is driving the transformation of networks and network services. 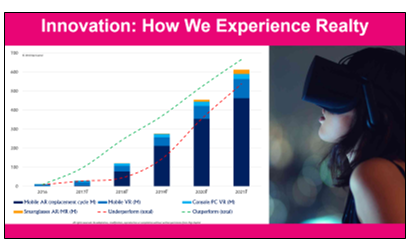 With Virtual Reality gear and applications, with software and cloud, virtual reality experiences are now going beyond local and personal to live and collective. There is no need to go to a theater or sporting event anymore – the at home experience could be every bit as good or better. But VR is not just for kicks – it’s being used to perform surgical procedures remotely, to train fighter pilots, to convict criminals and – for driver’s education. How many of you remember driver’s ed in high school? As a runner and cyclist, the scariest words you can read is STUDENT DRIVER, so I wholeheartedly support training teenagers how to drive the same way we train fighter pilots. Where RTC comes in: Think about more and more real-time gaming with multiple gamers, and you’ll appreciate the need for “the network” to support media and signaling in new ways. It’s one thing to stream content, it’s another thing to support contextual sessions with multiple parties located anywhere in the world. This is what our customers are great at – supporting humans communicating with other humans in a quality way, not to mention, now the machines and humans with machines becoming increasingly “human like” give the advances in AI. Today, we can help ourselves without having to go to the doctor. 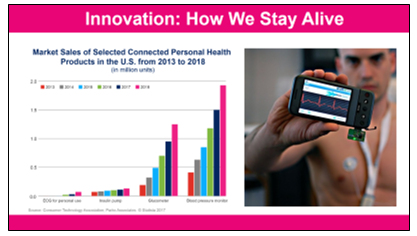 Medical wearables have moved way, way beyond wellness with the incredibly popular Fitbit, now into much more sophisticated applications, that measure our heart rate, breathing, blood pressure, insulin levels and brainwaves. We now can monitor our health in real-time, alerting doctors to assist us if something goes wrong. Where RTC comes in: We’ve worked with IBM on solutions for emergency rooms which make it possible to intake a patient in distress in minutes, measure their vitals, and contact their general physician and related care team of specialists based on that data as analyzed by Watson. Within seconds, a text message can be routed to exactly the right person, and if that person is unavailable, routed to the next right person in a policy-based contact tree. Medical records can be pulled up, and shared in an instant collaboration session, including video conferencing, screen sharing and more. All this can happen instantaneously and can save lives. Home health monitoring is a huge market and opportunity, and CSPs are building private networks, secure and compliant with regulatory needs – a market that didn’t exist ten years ago. 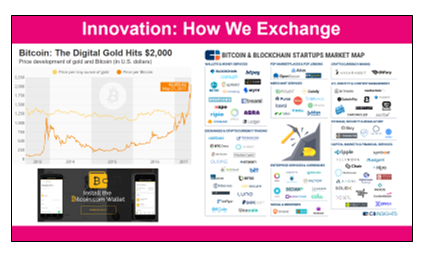 While it’s going to take some time for physical currency to become a thing of the past, digital currencies and the systems supporting digital currencies – like blockchain software – is changing forever how we buy, sell, exchange and accumulate wealth. Blockchain has the ability to completely disrupt the banking industry, the payments industry, the RTC industry, the IoT industry, and so much more. By allowing digital information to be distributed but not copied, blockchain technology created the backbone of a new type of Internet. Because it is distributed, it cannot be controlled by any single entity. It also has no single point of failure, and will unleash the full potential of the digital economy. Where RTC comes in: Today GENBAND is supporting cloud communications for the largest financial trading extranet in the world. This secure, private network has been traditionally based on physical circuits and private lines; IPC is moving to the cloud and we are helping them, simplifying how traders are connected in order to collaborate as part of the trading strategy process, without giving up any security and while improving performance and economics. While blockchain may disrupt physical currency systems, per se, there will never not be a need for real-time collaboration in business, particularly in high stakes businesses like financial services. Digital Record Labels have overwhelmed traditional models, as companies like Spotify have become more valuable than all the old record labels combined. Today, millions of Superfans are getting together to fund musicians’ projects, with content and merchandise sold on platforms like PledgeMusic. On this wildly popular platform which is progressing the careers of talented, independent artists every day, these artists own their own content and get to keep 85 percent instead of 15 percent of revenues. The artists have a direct-to-fan platform, fans have a means to follow their favorites, and interact with them more personally than on older social networks like Facebook. 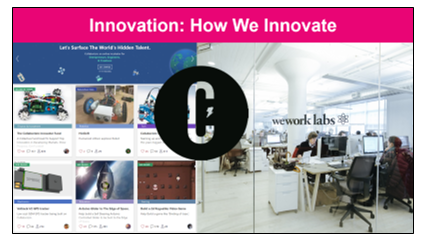 With commercial value built in, these new platforms have sustainable advantages and like other disruptive technologies, are paving the way for even more innovation as those platforms evolve. Where RTC comes in: Fans can communicate with fans, artists with fans, live performances can be streamed, as interactive and immersive as live shows, or can enhance live shows by extending the experience outward. 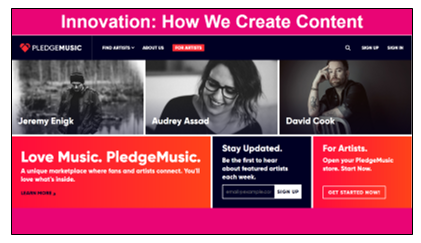 Messaging takes on a whole new musical meaning, as music can be purchased and gifted, recommended and shared, with consumption payments made easy and intuitive. The creativity in music, sports, entertainment and other human activity platforms is just getting started. We no longer have to go to banks or investors to get funded – we can fund each other now, without the need for formal loans, notes, equity investments and other traditional means. 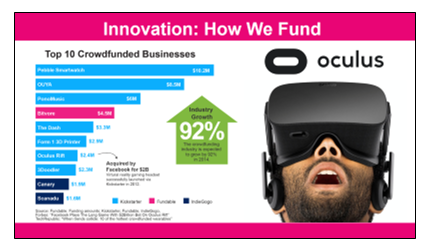 Three of the top platforms are Kickstarter, Fundable and IndieGoGo, and one of the great examples of these platforms being very real is found in the Oculus Rift story. Company founders raised $2.5M in 2012 to build their prototype and content, and was acquired by Facebook for $2B – only four years later. Where RTC comes in: Look for more and more collaboration to be built into the funding of projects – meet the founders, participate in a webinar, attend an investor meeting. The pattern among all these trends is that RTC – voice, video, messaging, collaboration – enhances EVERY digital platform. A little company called Collaborizm has attracted over 110,000 developers to their platform in less than two years, and recently was featured in a half-page article in the world’s largest newspaper, The New York Times. This collaboration platform has thousands of inventions being built, by mechanical and software engineers around the world. Their founder and CEO, Steve Rubenstone, is 26 years old and was frustrated in engineering school when he couldn’t solve a problem and needed to find people who could help. He and his friends built a web-based collaboration platform and social network, where individual hardware and software inventors come together to help each other design, prototype and even commercialize their ideas. Where RTC comes in: Our Kandy platform is being used to bring this community together; we sponsored hackathons with them to encourage the creation of “connected things” – blending IoT and RTC – humans interacting with machines in real-time, from across the home or office to around the world. These developers in their early twenties have never had a platform like this and they are taking to it actively and intuitively. Any company considering slogging through an expensive R&D process may wish to consider finding talent on platforms like these, to build their products and services faster, with the millennial generation that will ultimately consume those products and services. Digital is generational! 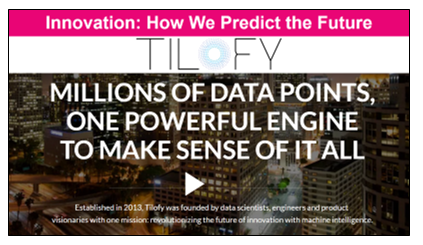 Speaking of peering into the future, including the future which is right around the next corner, Tilofy is an automated trend forecasting SaaS platform which crunches a huge amount of data and identifies trends in their infancy long before they become mainstream. Where RTC comes in: It’s one thing to have access to this trend data. As beautifully reported as it is, the data is there to trigger human thinking and that includes collective thinking through collaboration. As Tilofy evolves, they can enhance their digital platform with collaboration and messaging services; since it is “all web” they can leverage standards and protocols like WebRTC to embed real-time messaging and interaction. GENBAND invested in WebRTC early on and today has one of the world’s most advanced and award-winning platforms companies like Tilofy can simply adopt to enrich the experiences of their users. We saw this coming a long time ago, and we invested out ahead of the digital meteor to help our customers and partners adapt. RTC is helping developers of digitally disruptive products and services go faster, jump higher, and cross over into the digital world, for real, with RTC.